Prior to solving for results, plates needs to be meshed. 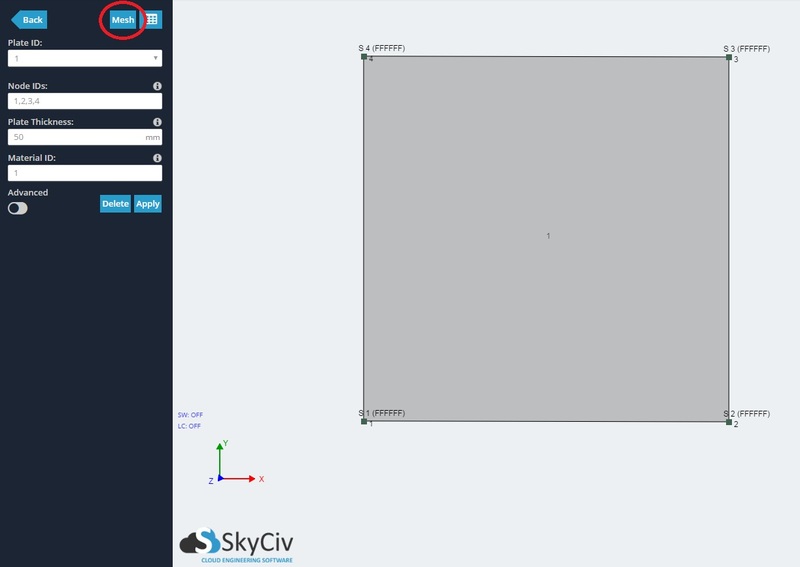 SkyCiv's mesher is able to divide a plate into triangle or quadrilateral shell elements. 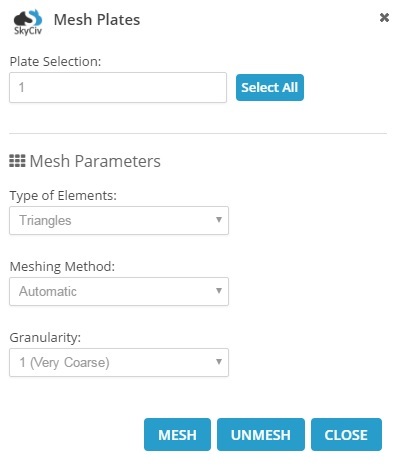 Plate Selection - Select the plates to be meshed. Use commas to separate plate numbers, a hypen to select all plate numbers within a range, or click the 'Select All' button. Type of Elements - The type of shell element to divide the plate. 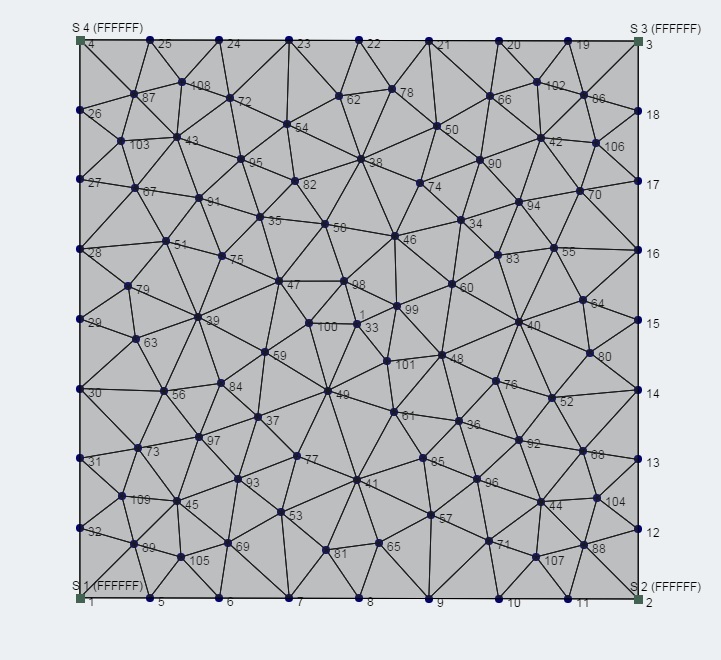 Meshing Method - Choose from Delaunay, Frontal, and Adaptive meshing methods. Granularity - Choose from 5 levels of fineness. 1 represents a very course setting, and 5 represents very fine. 1) To mesh your plate, click the 'Mesh' button at the top right corner inside the 'Plate' menu. 2) In the pop up menu, specify 1 as the 'Plate Selection'. Select 'Triangular', 'Automatic', and '1 (Very Course)' for this example. The other examples can be experimented with. Click Mesh.